Like most women, I’m bombarded with ads claiming that if I use their product, I’ll love my skin. Most recently, I was presented with a special mask that would “transform my skin.” You guys, it cost $5,000. While that’s an extreme example, one browse through a department store and you’ll see creams, masks, lotions, and potions costing upwards of $400+. I’m guessing the average woman doesn’t want to spend $400 or more on a skincare product. I’m also guessing that with the skincare you do buy, you’ll want it to work. Yeah, me too. 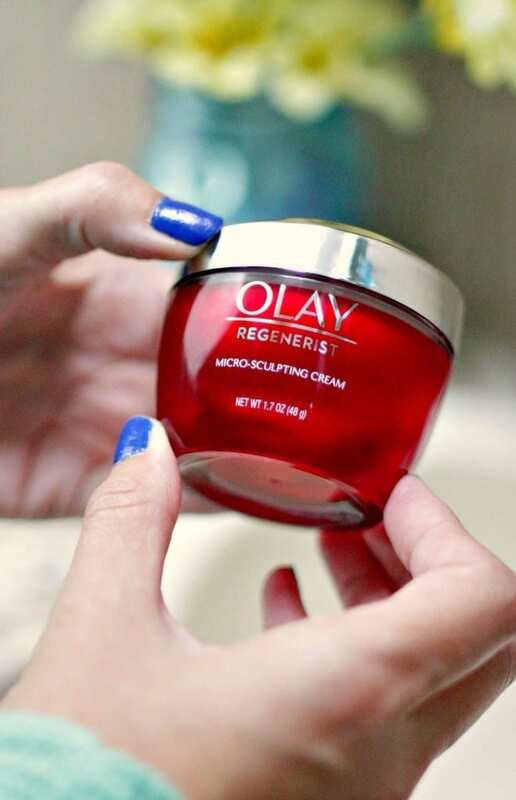 I’m excited to have partnered up with Olay today to share my experience with their Olay Regenerist Micro-Sculpting Cream. This a brand I have trusted with my skincare needs for many years and every new product I use continues to impress. 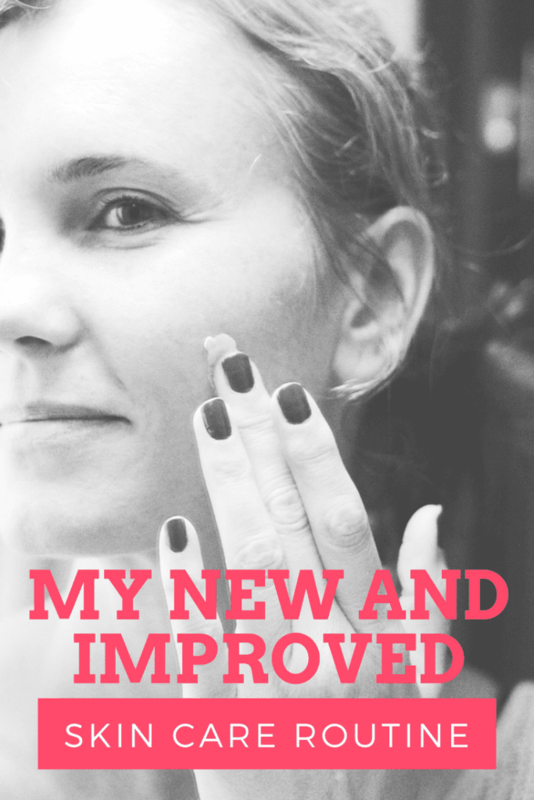 When it comes to my skin, my biggest problem has always been dry skin. I’ve had a handful of facials in my lifetime and every single esthetician said “Oh! You have very dry skin. Let’s do something about that.” They also educated me on the fact that my lack of hydration was making my skin look older. Lovely. Part of my dry skin problem was the fact that I didn’t have a very good nightly skin care routine. Part of it was also because of aging. But by far, my biggest issue was knowing who to believe when it came to products that get results. I don’t even want to know how much money I’ve spent on moisturizers just in the last couple of years. 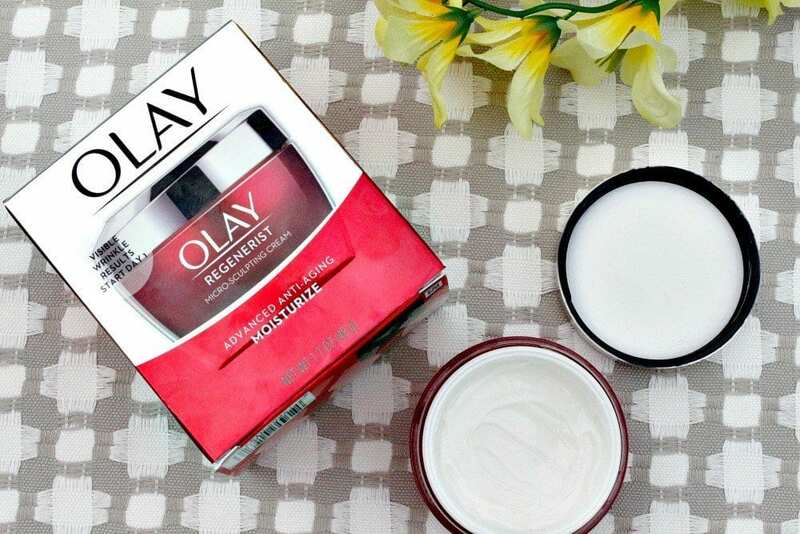 A couple of weeks ago, I told you about a product from Olay I started using and how much I loved it. 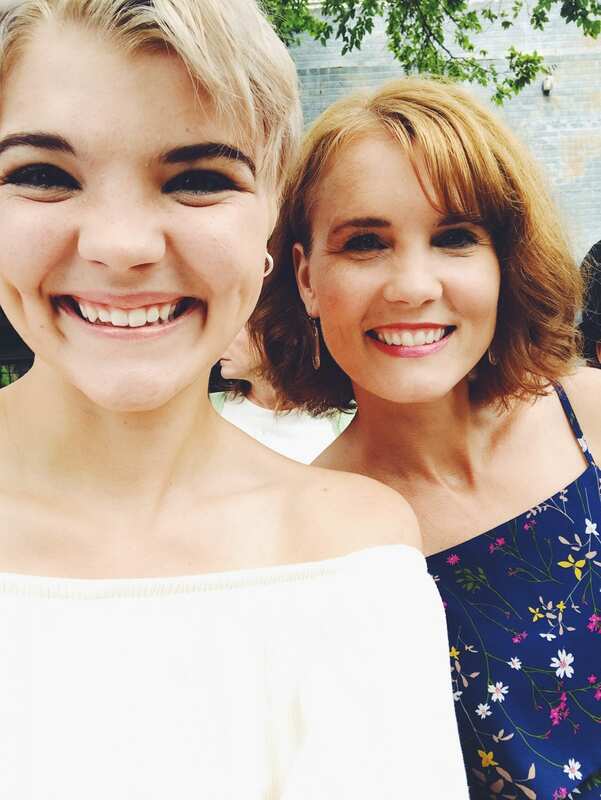 I’m still using the Olay Daily Facials Cleansing Cloths and so is my 19-year-old daughter. We’ve both come to enjoy the ease and simplicity of use, plus how well they cleanse our skin. I call her my little beauty guru because she has educated herself well on what she needs to be doing now to make sure she has great skin when she’s my age. One thing she knows is how incredibly important moisturizing is. 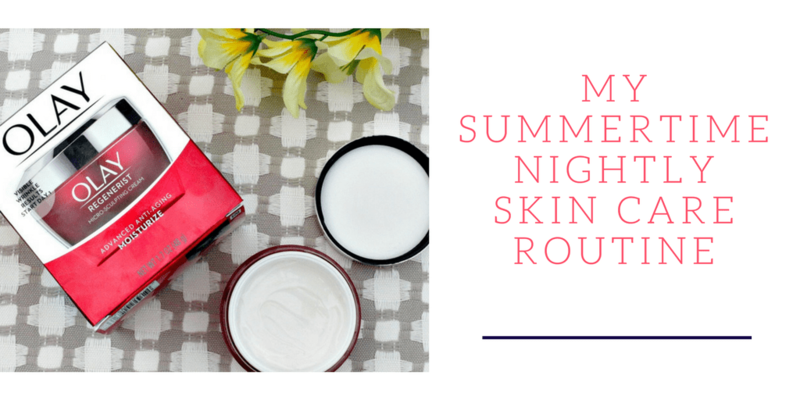 My biggest problem when it came to my nightly skincare has been finding a moisturizer that gets the job done. As I said, I have dry skin, so I need one that hydrates really well. I’m about to be 42 in August, and I’ve noticed signs of aging coming on with a vengeance. So I need a product that helps in that area too. Is it possible that a product I can pick up in my local store works as well as pricey department store brands? In my experience, the answer is yes. 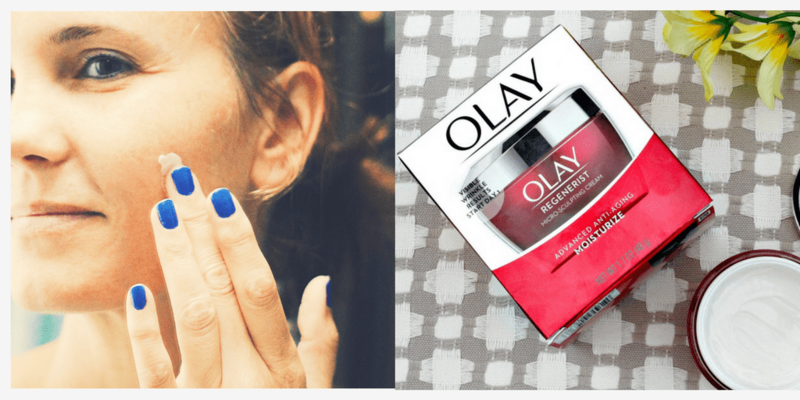 A test performed by the Good Housekeeping Institute backs up my personal experience with their test on Olay Regenerist Micro-Sculpting Cream. 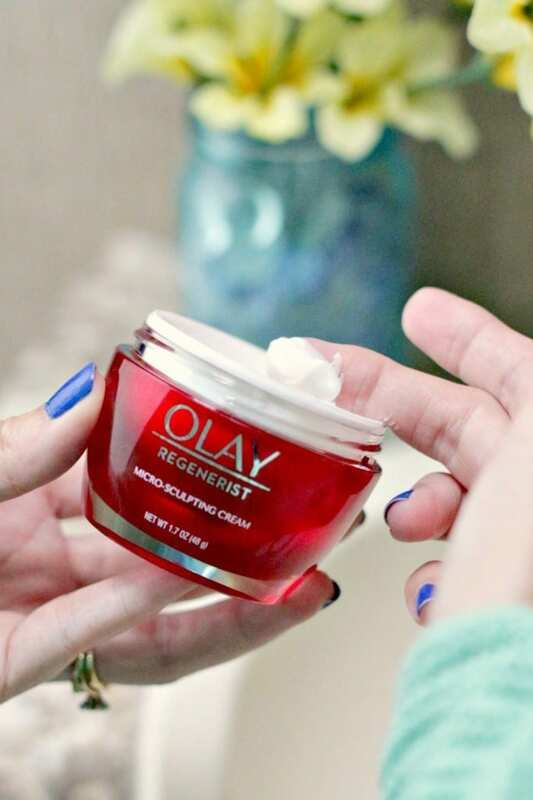 They tested Olay Regenerist against 10 prestige creams found in most department stores, ranging in price from $26 to $440 and Olay Regenerist ($26.99 online) came out on top. Because of the boost in hydration and firmness, my skin looks amazing. It felt like I had just returned from getting a facial at the spa, which is when I always feel the most confident wearing less or no makeup at all. I’ve gone from someone who usually wears a face full of foundation to someone who just dabs on a little powder. And that feels so good. That’s it! I am really enjoying a paired down and effective nighttime beauty routine. What are your skincare concerns? If dryness and aging are an issue for you, I highly recommend picking up this Olay product at your local store. My guess is you’re going to love it as much as I do. I love Olay products! I will have to try this moisturizer.